Your Local Dermatologist! Call for an Appointment. 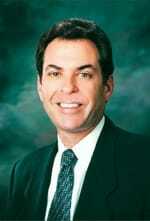 Larry Landsman, M.D. P.A., is a leading dermatologist who delivers outstanding results for his patients throughout Vero Beach and the surrounding Florida communities. Our ultimate goal is to help you achieve and maintain healthy, beautiful skin. A board-certified dermatologist, Dr. Landsman has established a dermatology center that offers a variety of product lines to suit the needs of every patient. He and his staff work with the most advanced medical and surgical techniques available. From acne to skin cancer, Dr. Landsman offers successful treatments while providing the utmost comfort and attention to all of his patients. Call us today to find out more information about our skin treatments and how we can help you get beautiful, vibrant skin. You deserve it! Copyright © 2018 drlarrylandsman.org All rights reserved.